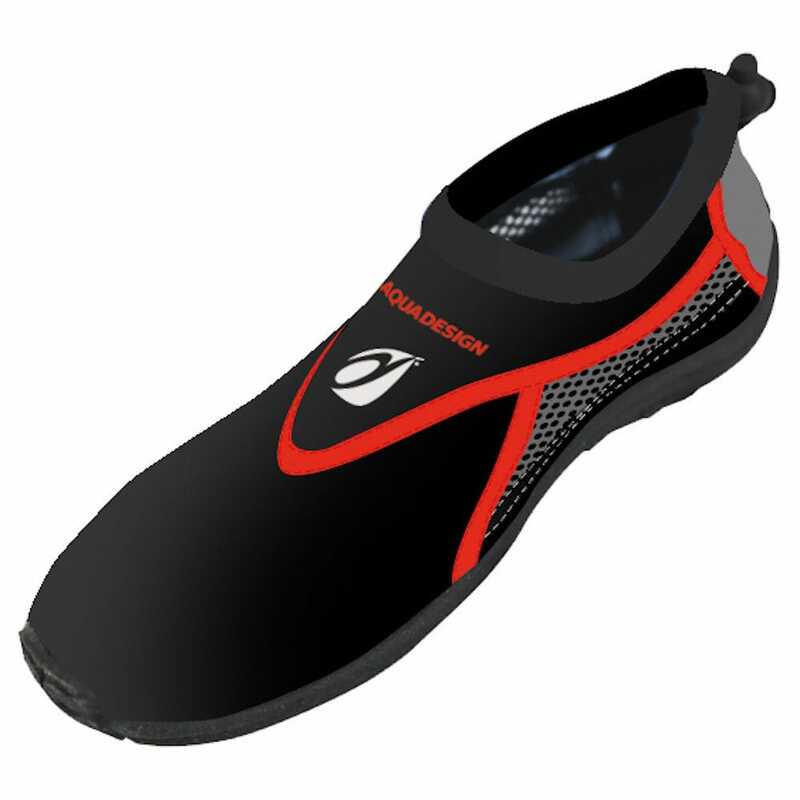 Designed with a durable and flexible sole, the mesh on the outer panels allows water to drain for quicker drying and ventilation. This model is easy to slip on and adjutable with elastic ankle cord for a snug fit. Ideal for beach and nautic sports.